Protect your investments and revolutionize how you store your equipment between uses. The Sling One features 1200 LB, 1" wide quick release straps that can be mounted to either the wall or ceiling. Each set comes with coated S-hooks and stainless steel mounting bolts. 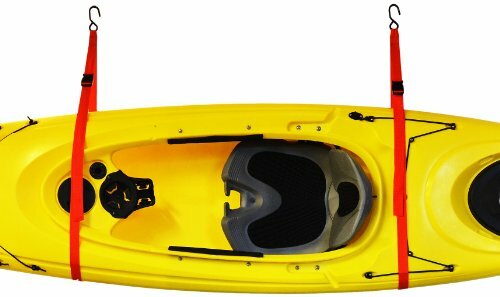 An economical way to store one kayak. 1 year warranty.